If you can't get into Trello because you're not receiving the SMS with your code, these steps can help you get back into your account. When enabling Two Factor Authentication, you're prompted to save or print a set of backup codes, which you can use to get back into your account if you don't currently have access to your second device. You can use one of those codes in the two factor authentication code field in the login screen, instead of the code you would normally receive via SMS or from your authentication app. Use a backup code to log into your 2FA-enabled Trello account. Disable 2FA with one of your backup codes. If you've previously used Google Sign-In to log into your Trello account, you can use it to log in without having to enter a a code. This is allowed because Google has its own two factor authorization option. If your Trello account has both 2FA and Google Sign-In enabled, we'd suggest making sure that 2FA is enabled for your Google account as well, so that no one is able to bypass your 2FA settings through your email alone. If you're not able to authenticate with your second device, please note that you'll only be able to use Google Sign-In to bypass 2FA if you've used it with your Trello account previously. 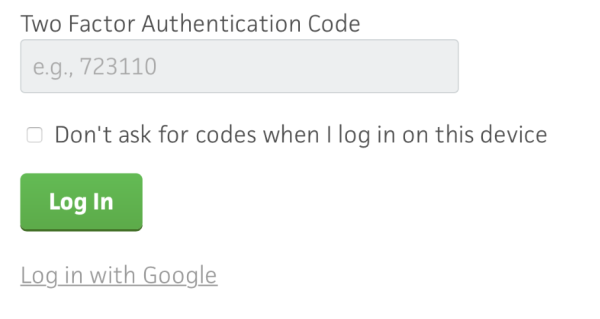 Otherwise, you'll still be asked to log in with a code if you're trying to use Google Sign-In for the first time. 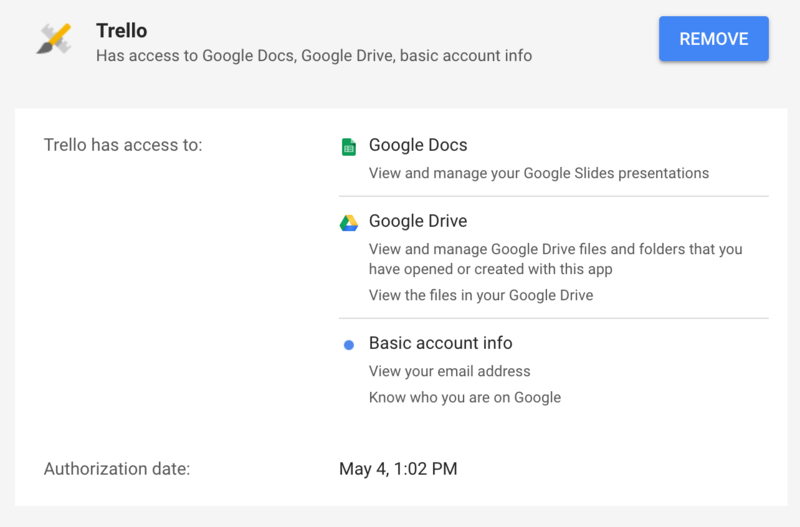 You can also disable Google Sign-In, if you no longer want to use it for your account. To do that, go to https://myaccount.google.com/security and select the "Connected apps & sites" option from the menu. Then, click "Manage apps," select "Trello," and click "Remove." If you're not able to get into your account using these methods, contact our support team for additional help. While we won't disable 2FA on an account or change the phone number for security reasons, we can help users who haven't changed phone numbers but have stopped receiving messages for other reasons.